Any understanding of good law firm SEO has to begin by not trying to reinvent the wheel. The basics of law firm SEO are the same as the SEO basics for any other business. You start with an SEO audit—where a competent professional reviews your site architecture—along with tactics like link building and having good content. That’s the basic block-and-tackle formula for increasing your organic search reach. But there are some things that a law firm can do specifically to improve their website’s viability as a marketing tool. And the first thing is this—make sure you know why your website exists in the first place. Different types of law practices will have very different uses for their websites. Firms that handle personal injury or divorce cases are in position to get searchers who are actively looking for a lawyer right now. But what about the securities firm or the corporate tax law practice? Those types of clients are highly unlikely to find you on a search engine and sign a retainer agreement the same week. A law firm fitting each of these two categories would use their website to promote different types of user action. The personal injury law firm wants to get a phone call or a “contact us” form filled. The purpose of the website is to get the potential client in the office door ASAP. The corporate securities firm would surely like to do that too, but a more realistic goal is simply using the website to get yourself on the radar of your ideal prospect. So when they find your site, perhaps the goal would be to get them to sign up for a free newsletter, or to promote an event where one of your partners will be speaking. The types of clients are lucrative for the law firm, so playing the long game is in order. Once you “understand your why,” the rest of your SEO strategy can fall into place. 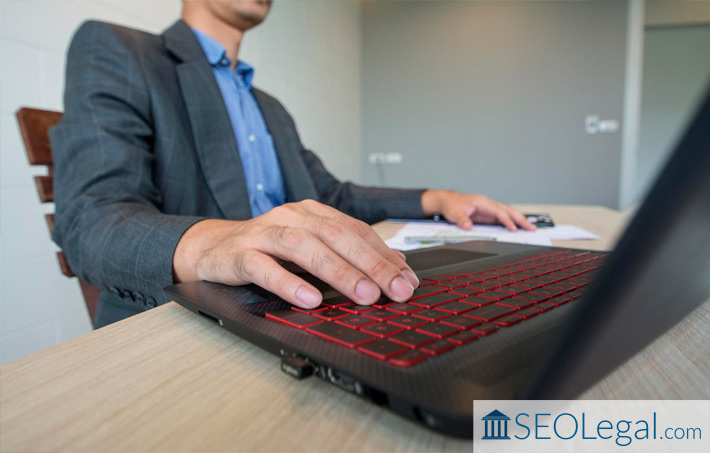 As you build the website and SEO strategy for your law firm, be sure to follow these marketing trends for 2019.